Reel Asian is co-presenting a Japanese outdoor film program at the Canadian Museum of Civilizations curated by Heather Keung, August 19-20, 2011. Reel Asian is proud to co-present an outdoor film screening of Japanese films at the Canadian Museum of Civilization in Ottawa on August 19-20. 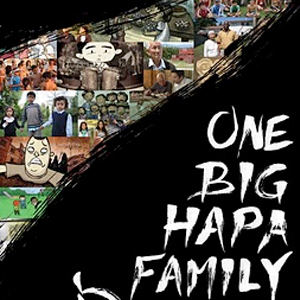 After a realization at a family reunion, half Japanese-Canadian filmmaker, Jeff Chiba Stearns, embarks on a journey of self-discovery to find out why everyone in his Japanese-Canadian family married interracially after his grandparents’ generation. 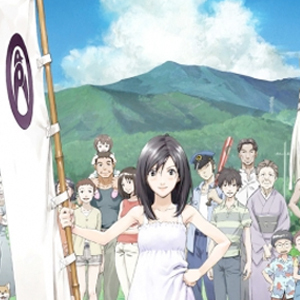 From the visionary directory of The Girl Who Leapt Through Time (2007 Japanese Academy Prize, Best Animated Feature) comes the story of an ordinary family going to extraordinary lengths to avert the impending cyber apocalypse! Founded in 2006 by Animation Creators and Critics writer Nobuaki Doi and award-winning animator Kei Oyama, CALF has quickly become one of the most vital companies in the world of Japanese art animation. CALF, which now includes such artists as MiraiMizue, Atsushi Wada and arts collective TOCHKA amongst its roster, forwards their goal of introducing the work of Japan’s top animators around the world. Thanks to CaRTe bLaNChe for their support of this presentation. Mikio Kobayashi lives quietly with his wife, daughter, and divorced sister in downtown Tokyo, where xenophobic neighbors insist on them participating in community meetings, and the most exciting thing to happen is the disappearance of a pet parrot. But one day Kagawa appears, causing the Kobayashis to be comically tossed about in confusion as Kagawa and his associates run amuck in their home.